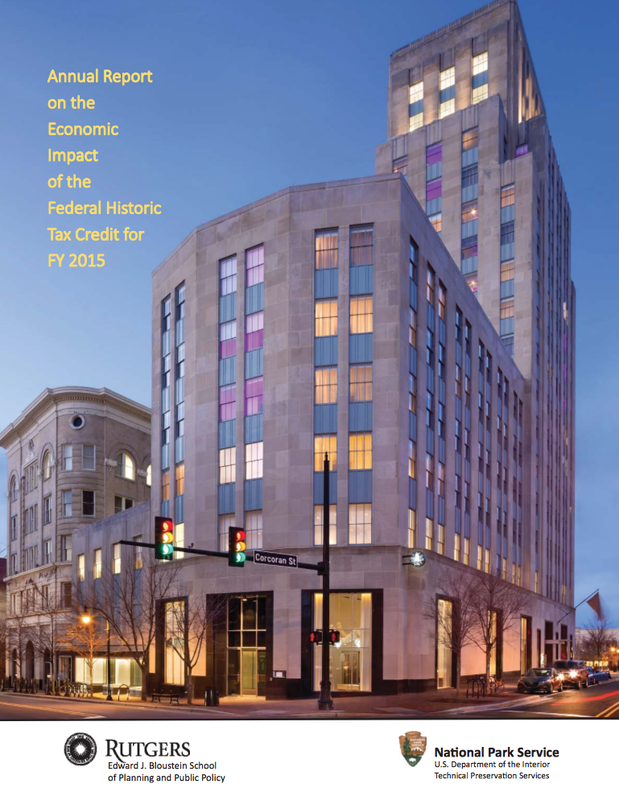 The Rutgers University Edward J. Bloustein School of Planning and Public Policy has released its annual report on the Federal Historic Tax Credit program, entitled “Annual Report on the Economic Impact of the Federal Historic Tax Credit for FY 2015,” in August. This report contains a number of important figures that illustrate the success of the Federal Historic Tax Credit program. The Rutgers report focuses on the economic effects of Federal HTC projects during construction, quantifying the credit’s total economic impact for the fiscal year ending September 30, 2015, and for the period since the program’s inception. The study utilizes the Preservation Economic Impact Model (PEIM), a comprehensive economic model developed by Rutgers University for the National Park Service. The Federal HTC program has generated approximately $120.8 billion in economic activity (adjusted for inflation) since FY 1978, $5 billion of which occurred this year. To date, the program has generated approximately 2.4 million jobs. The credit has generated an estimated $134.7 billion in GDP, nearly 30 percent of which was in the construction sector. To view the full Rutgers Report, click here.